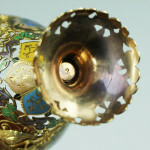 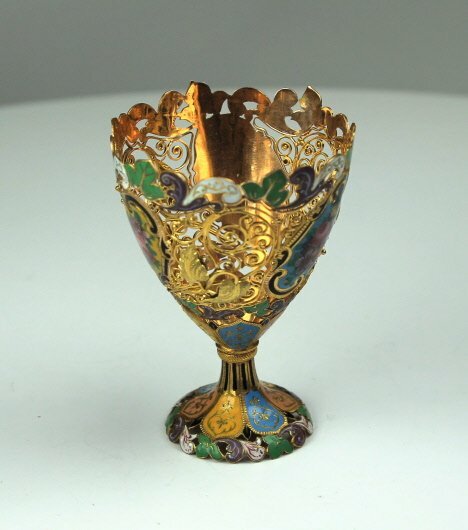 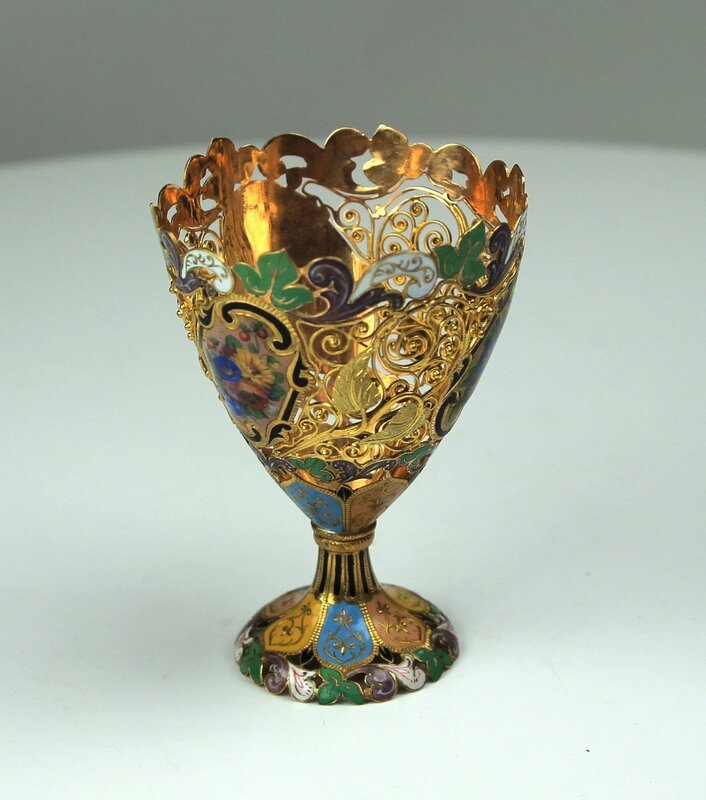 A very Rare Swiss gold and enamel Zarf made for the Turkish Mkt, c1810, Geneva. 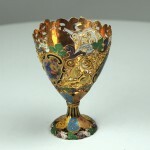 The enamel panels with summer flowers surmounted with gold leaves on gold wire work. 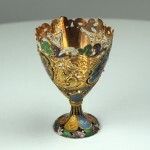 6.5cm x 4.5cm.